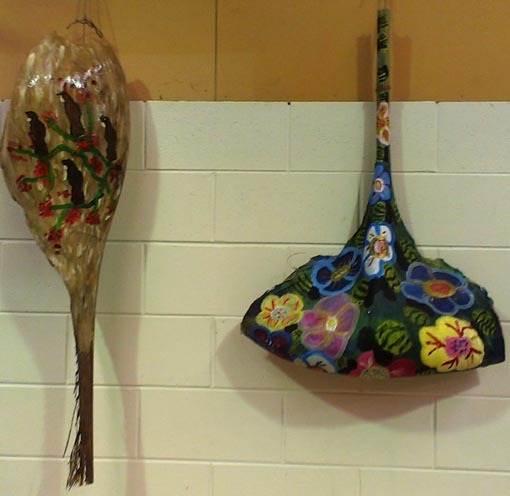 Hohepa Day Services, founded in 2008 as the day centre at Hohepa Auckland, runs art sessions four days a week where participants explore a wide variety of mediums from acrylic to watercolour, and crafts such as stitching and beading. The participating artists range in age from 21 to 52. Simone Rueckert, Art Facilitator at Hohepa Day Services since 2011, says the artists come and go but everyone is encouraged to take part for the whole year to get the full benefit of the programme. Hohepa Day Services provides vocational and community services, including an art programme, for people living in residential care at Hohepa Auckland and for independent clients. In 2013, there were more than 60 people using the day services. Hohepa Charitable Trust was founded in 1953 in Hawke’s Bay but since then, it has expanded its services to Auckland and Canterbury. Hohepa's aim is to enable people with intellectual disabilities to develop to their fullest potential through access to therapeutic art and cultural projects, and to work opportunities. Its founding principles were inspired by Rudolf Steiner’s holistic approach to education and his understanding that in every human, whatever their apparent impairment, there is a spiritual individuality at work. Simone Rueckert has been working hard to come up with themes that really engage the artists, and get them using their imagination and experimenting with different techniques. The artists also experiment with mixed media, applying watercolours on to wood, then sanding and varnishing the material to reveal different layers of colour. On Thursdays, the artists think up their own themes and work collaboratively on larger-scale projects. They visit different galleries around Auckland to inspire them, including Pah Homestead Gallery, The Wallace Art Trust, Corban Estate Art Gallery and Newmarket Gallery. On a recent trip to the local library the artists were inspired by aboriginal dot paintings that they looked at in art books. They worked together to produce a “New Zealand take on the dot painting”. 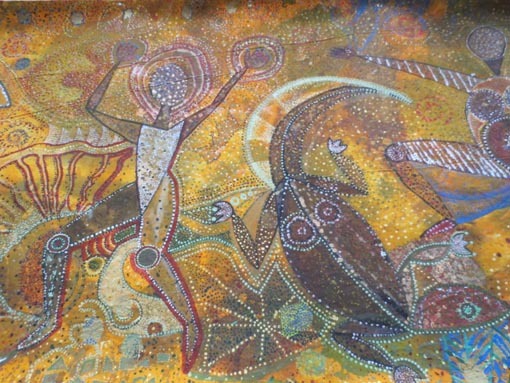 A huge canvas was painted in earthy colours, using the dot technique to depict native wildlife such as the kiwi. The 2.5 by 1 metre piece was exhibited at the Upstairs Gallery in West Auckland. It holds two or three exhibitions throughout the year at galleries across Auckland, including Upstairs Art Gallery in West Auckland, Uxbridge Creative Centre in Howick and the YMCA’s Mount Albert Community and Recreational Centre. The organisation encourages as much engagement with the wider community as possible. These exhibitions present a good opportunity for the artists to mix and interact with the locals. 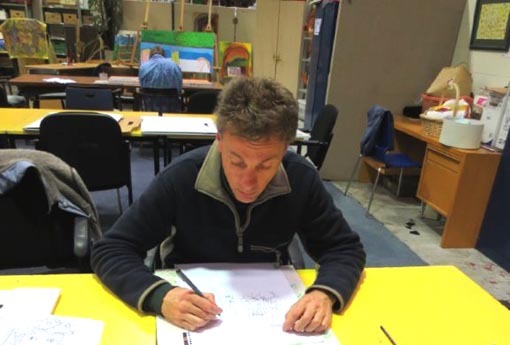 One of its artists, Mark Warner, has been attending the art classes since the centre opened. He's become so accomplished he's won many accolades for his work, including first prize in the IHC Art Awards. Hohepa Day Services also offers South Pacific Educational Courses, which are NZQA-approved certificate qualifications. The courses provide an alternative pathway for people who need a more individualised learning programme to reach their full potential. These qualifications help people get jobs or do further study. Courses include painting, drawing, eurythmy, drama, creativity, life skills, environment, fitness, sport, games, leisure activities and vocational training. Original generation time 1.1430 seconds. Cache Loaded in: 0.0253 seconds.